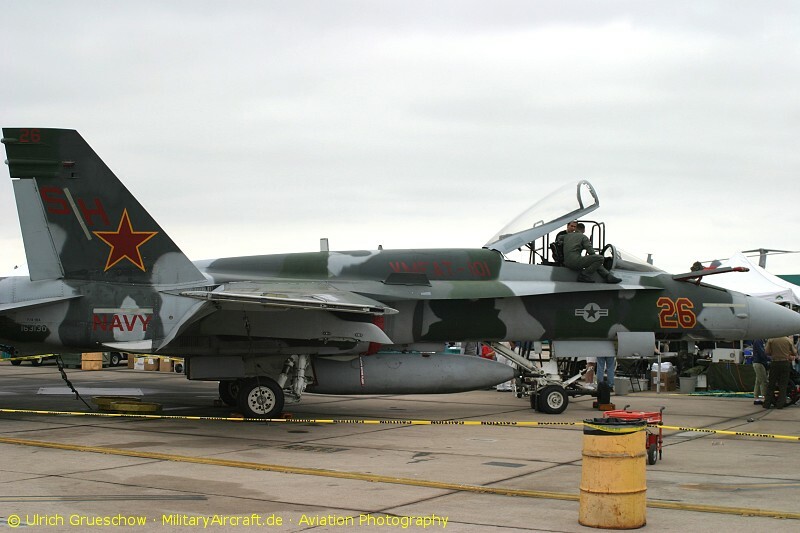 “Splinter” paint schemes have become a distinguishing feature of U.S. Air Force Aggressors and later appeared on Iranian F-14s (under the name of Asian Minor II camouflage). The “splinter” pattern is used to make the fighter jet to which it is applied similar to a Russian 4th and 5th generation aircraft. 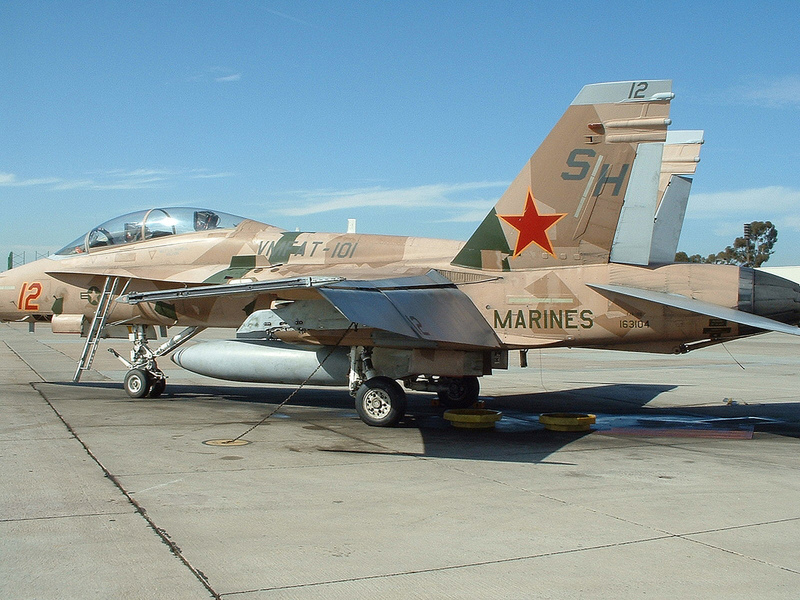 Noteworthy, we have recently received an email from Gregory Slusher, a reader of The Aviationist, who explained in a really interesting email how the color scheme was “inadvertently invented” for U.S. Marine Corps F/A-18 Hornets. “As a young U.S. Marine Sergent, me and my fellow corrosion control techs inadvertently invented the paint design,” Slusher explains. So, the “splinter” color scheme was not introduced to make the jets similar to their Russian adversaries, just to make them more visible. If you “google” VMFAT-101, you would see much of their work, as it has been photographed quite extensively at air shows, well before other services decided to apply a similar paint scheme to their planes.